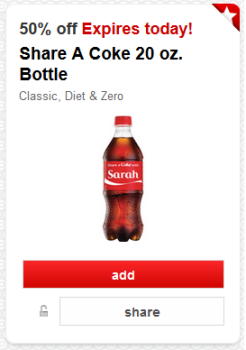 Target released a new high value Cartwheel offer for 50% off Coke, Diet Coke or Coke Zero 20 oz bottles to the 1st 25,000 people. Offer valid today, July 24th only. Limit 2 per guest.